Voicemeeter is revolutionizing the way audio is managed on Windows PC's. With Voicemeeter Banana, It is now possible to connect and mix any audio source(s) with any audio application(s) in an easy way with unparalleled control on sound quality. Endowed with new effects on all input strips, a High End Master Parametric EQ on every Bus and a multi format audio player/recorder, Voicemeeter Banana emerges as the most advanced audio mixer for windows and a “must have” system audio component. Voicemeeter Banana is distributed as donationware, it means you can install and test it first and pay your license by adjusting the price to your means or usage. Thanks for your participation! 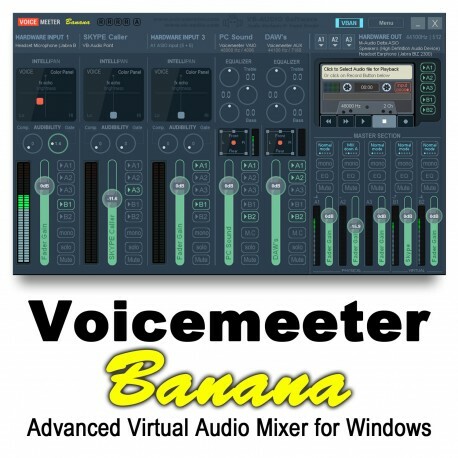 Download page & User manual: www.voicemeeter.com (Banana tab). 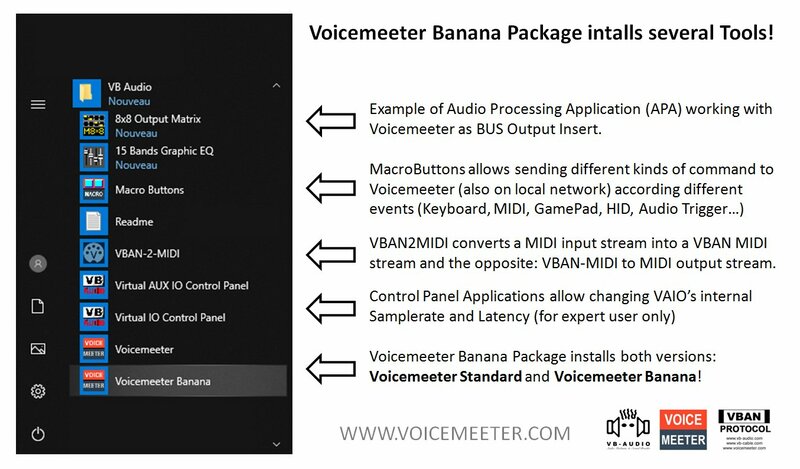 Voicemeeter Banana package installs both Voicemeeter Standard and Banana version.